Many who relocate to New Zealand say that the country culture closely resembles that of the United States, more so than the United Kingdom – and yet, it is also completely its own. English is spoken there and residents enjoy a high quality of life. New Zealand is famous for its gasp-worthy scenery, from gorgeous mountain trails to lakes and sandy beaches. Even better, the climate is mild year-round, the weather doesn’t get too stifling and winter weather is mild enough to keep you outside. Many of the New Zealand expat communities enjoy each of these features in accordance with like-minded company all around them. These are five of the most popular locations, in no particular order. The capital city of Wellington can sometimes be forgotten under all of the hype of Queenstown and Auckland, but it is just as good an expat location as any. It is closely quartered, so everything is within walking distance. If you’re worried about having a vehicle in New Zealand, a place like Wellington might suit you well, since you can walk or bike practically anywhere. There is also plenty to do, as the city is full of museums and entertainment and even boasts an overabundance of cafes, bars, and restaurants. There are said to be more of these in Wellington, New Zealand, than in New York City. 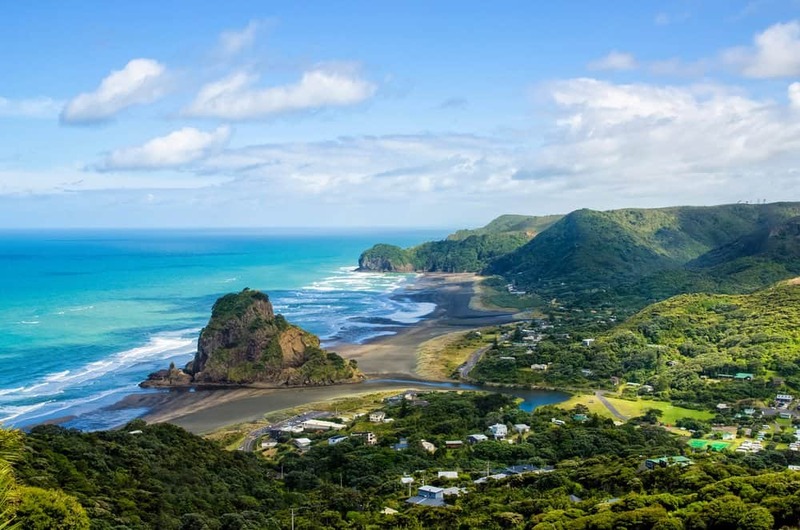 Also near Wellington is Zealandia, a sanctuary housing some of the country’s rarest wildlife, and Kapiti Island Reserve, just off the coast, which is known for its bird population. Very famous as a favorite among New Zealand tourists, it’s not surprising that many expats choose Queenstown as their number-one pick when they relocate. The resort town is small, but it packs a large punch when it comes to its offerings. Kawarau Bridge is located in Queenstown, which is famously known as the birthplace of bungee jumping. Queenstown is also surrounded by many skiing and snowboarding locations/resorts. Attractions are open year-round, and there are always markets and music festivals to enjoy. Napier is an attractive city, especially because the cost of living there is much lower than it is in most of New Zealand’s bigger cities. It’s a great place for wine buffs, since there are great vineyards around, but there’s also a beach and plenty of golf courses to make for a very relaxing place to spend your retirement. As with most places in New Zealand, it offers plenty for outdoor enthusiasts as well, like nice cycling trails. It gets sunshine all year long and has mild winters, which is why it’s such a popular destination among UK expats. Auckland is New Zealand’s biggest city, which makes it highly popular and appealing for those New Zealand expat communities that wish to continue working. This is where people go when they want to find jobs. Not all expats move away for retirement, after all. Sometimes they just want a change of scenery. It’s a bustling city, so the price of living can be a bit higher than in some other areas, but with that comes an abundance of restaurants, beaches, parks, entertainment, and more! If you want to get away, but also think you’d miss the hustle and bustle of the busy city, Auckland would be a good bet for you. This city is an hour and a half away from Auckland and enjoys lower costs and more greenery. You’re still near a city if you want to take a weekend trip, and its central location also puts you near Raglan for great surfing and the Waitomo Caves. Hamilton is also home to the Hamilton Gardens, one of the best gardens in New Zealand. This city is popular for New Zealand expat communities that wish to be close enough to visit other areas for sightseeing and entertainment, but who also want to live somewhere a little more affordable. It helps that there is so much greenery! Of course, these five popular destinations only brush the surface of all that New Zealand has to offer. There are several more cities, like Dunedin, Rotorua, and New Plymouth that could have also made this list. In the end, you’re likely to find the basis of New Zealand’s appeal in any community you choose, because the gorgeous scenery, outdoorsy lifestyle, and friendly people are present everywhere you go.